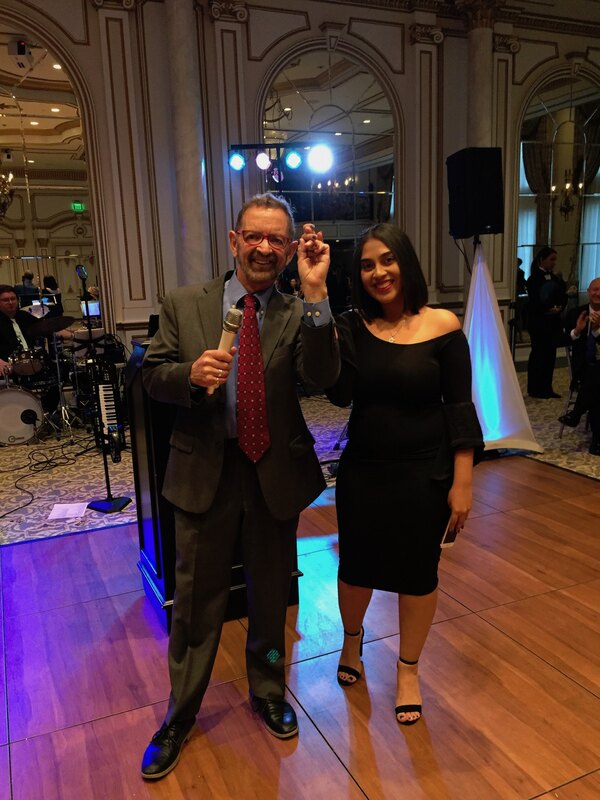 Nearly 250 supporters of NewBridge Services helped raise $115,000 to support the nonprofit at its Legacy of Hope Gala, held April 19 at The Legacy Castle in Pequannock Township. “We are honored that so many people recognize the vital role NewBridge Services plays in helping people of all ages find balance in their lives,” NewBridge CEO Robert L. Parker said. Two clients addressed the Legacy of Hope guests, sharing how NewBridge had changed their lives for the better. Cassandra Reyes, a young mother who dropped out of high school, described how NewBridge’s alternative education program, NewBridge Jobs Plus, helped her earn her diploma and get into Montclair State University. The 19-year-old is a freshman studying biology, with plans to become a doctor. NewBridge helped nearly 8,000 children, adults and seniors through our programs in counseling, housing and education last year. 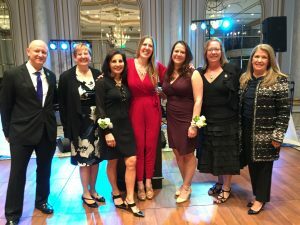 “That number is astonishing, considering we faced a drastic drop in state funding because of changes to the way New Jersey funds nonprofit providers,” Parker noted. 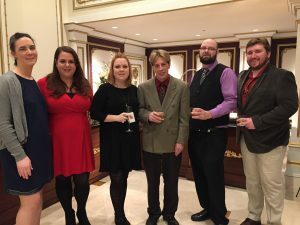 The Legacy of Hope Gala was NewBridge’s largest fundraiser for 2018. The event was sponsored by: The Holmes Family Foundation (presenting sponsor); Wyndham Worldwide (gold sponsor); Christian Health Care Center, Columbia Bank, and the Robert Collins Fund (ruby sponsors); Boiling Springs Savings Bank (emerald sponsor); Anne & John Wolfe, Atlantic Health System, Fulton Bank of NJ, Genoa Healthcare, Jack & Mary Hart, Hudson Valley Roofing & Sheet Metal, Murphy McKeon, P.C., PSE&G and Kathleen Parker (friend of NewBridge sponsors). 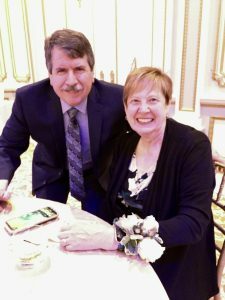 NewBridge Services, a 501c(3) nonprofit, is a premier provider of counseling services, housing and educational programs in northern New Jersey serving nearly 8,000 adults and seniors last year alone. NewBridge treats mental illnesses and addictions; teaches skills for coping with stress, grief and challenging relationships; builds and manages affordable housing; offers school-based programs that teach children and adolescents resiliency skills for healthy emotional development; helps young adults succeed in their education and prepare for careers; and supports seniors so they can remain independent. Throughout its more than 50-year history, NewBridge has remained true to its mission of bringing balance to people’s lives by tracking shifts in communities’ needs and providing innovative, effective programs to meet them.